Refugio State Beach Campground has 66 campsites next to a beautiful beach about 20 miles west of Santa Barbara. Most of the campsites have ocean views and some are just steps from the beach. Each campsite also has a table, fire ring and grate. Group and hike/bike campsites are also available. The campground has flush toilets, hot showers, a camp store and drinking water. There is not a dump station or RV hookups at the campground. Rufugio State Beach has a world-class beach, a charming creek, a pretty picnic area and a delightful day use area. Outdoor recreation is plentiful and includes sunbathing, swimming, snorkeling, surfing, fishing, kayaking, beach combing, whale/wildlife viewing and tide pool exploration. 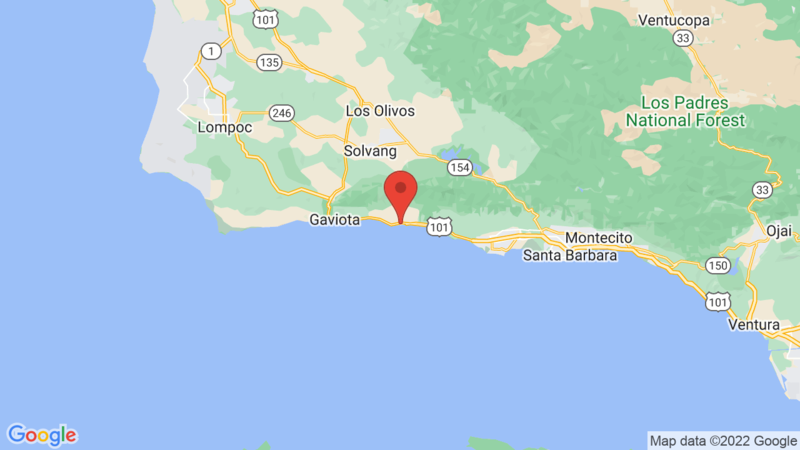 Two other California State Beach campgrounds in the area area El Capitan (142 campsites) and Carpinteria (216 campsites). Visted Refugio State Beach Campground lately? We'd love to hear about your adventure. Did you find us useful? Did we forget something? 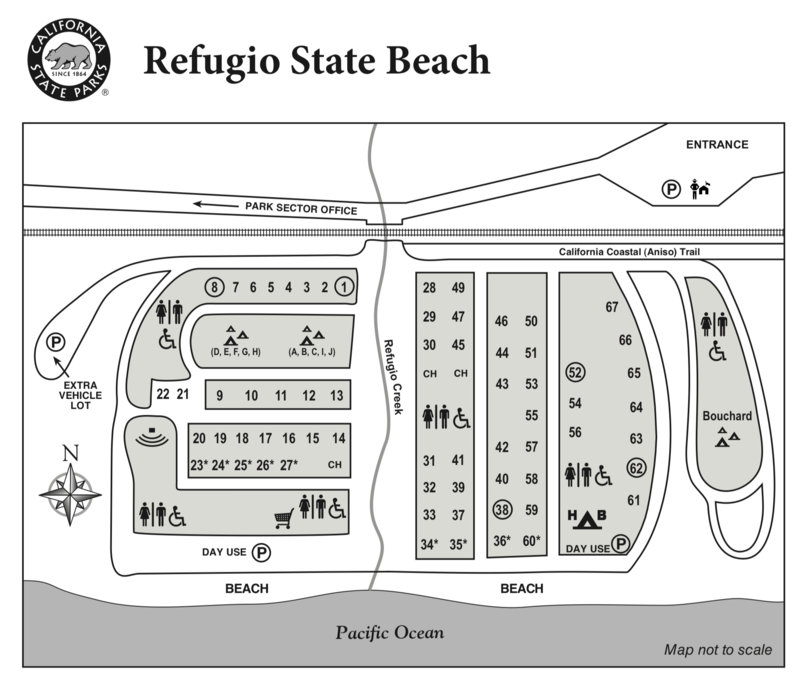 Anything our community should know before heading out to Refugio State Beach? This is the beach I remember as a child and young teenager! We loved this beach and came every year for many years! The pictures of it bring back some great memories! I am a 60 year old woman. When I was between the ages of 5-10, my parents took me to Refugio, weekend after weekend. It is still my favorite beach in California. It is so pristine! I’m 55, going on 56. When I was 7 years old, my family moved to Refugio Beach. We lived there, 4 years. I played n the garage, and on the beach. My brother and I stopped there, just a year ago, June. It’s appeared to be more popular, than years prior. Wish, I could see inside the house.